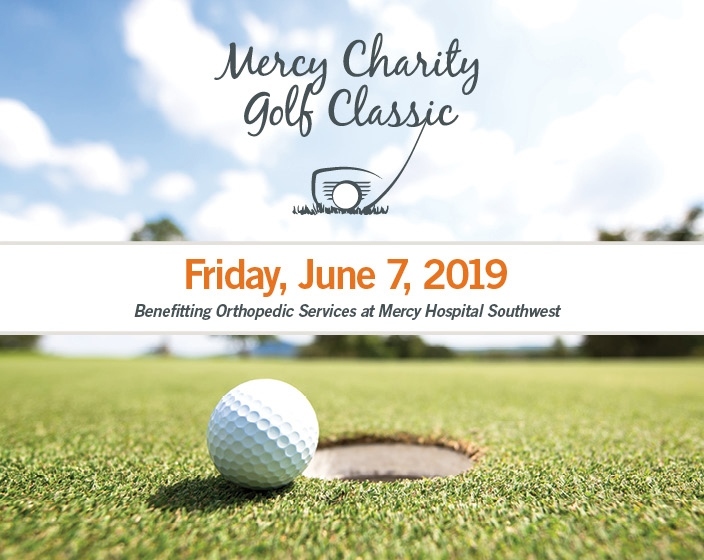 The Friends of Mercy Foundation invites you to participate in the 29th Annual Mercy Charity Golf Classic to be held on Friday, June 7, 2019 at Stockdale Country Club in Bakersfield, California. 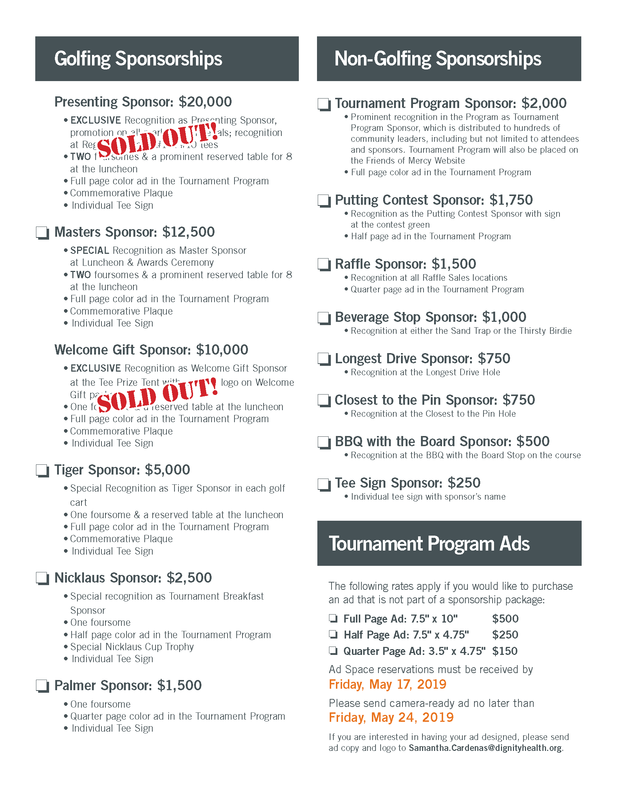 100% of this year’s funds raised will support Orthopedic Services at Mercy Hospital Southwest. As the largest orthopedic center in Kern County, Mercy Hospital is committed to recruiting and retaining the best surgeons, offering the most advanced procedures on state-of-the-art equipment, ensuring all patients receive the care they need to live life to its fullest. Raffle prizes—all valued at $100 or more! Four-person scramble. Team handicap is based on 20% of the lowest handicap and 10% of the rest of the team combined. A maximum handicap of 24 is allowed. © copyDate Friends of Mercy Foundation. All Rights Reserved.